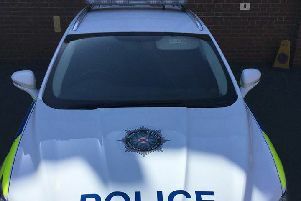 Ulster Unionist councillor for the Larne Lough area and former Policing and Community Safety chairperson Mark McKinty has welcomed sentencing of Ciaran Maxwell. “The sentencing today has been much-anticipated and is significant. Criminals, particularly those hell-bent on injuring or murdering others should be behind bars, and there is one less on our streets today. Larne and indeed Northern Ireland is a safer place. “We must acknowledge and appreciate efforts of police, intelligence, and security forces for their successful intervention in what would otherwise have been a bloody and appalling project. “It is particularly chilling to think that some alleged targets were places most of us have been in or passed by in recent weeks.